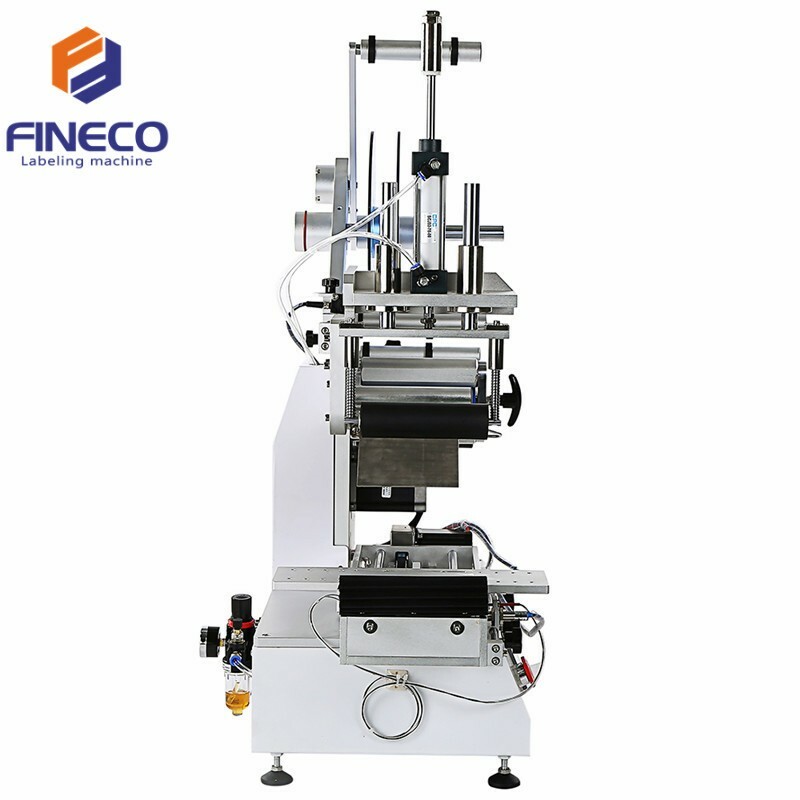 *For all kinds of flat/slightly arc surface labeling, such as flat bottle, cosmetics boxes, plastic cap labeling, etc. *Date printer can be added to print production date,batch lot and expiry date while labeling. *Widely used in food, cosmetic, chemical, pharmaceutical and other industries. smooth label while labeling and make it stick tight. 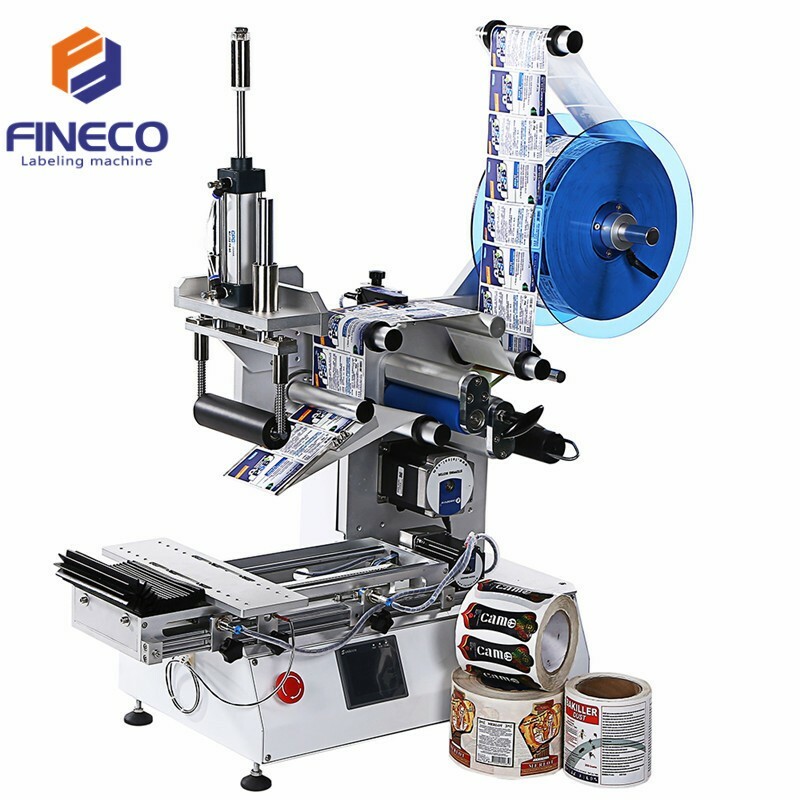 driven by a motor,transmit product while labeling. 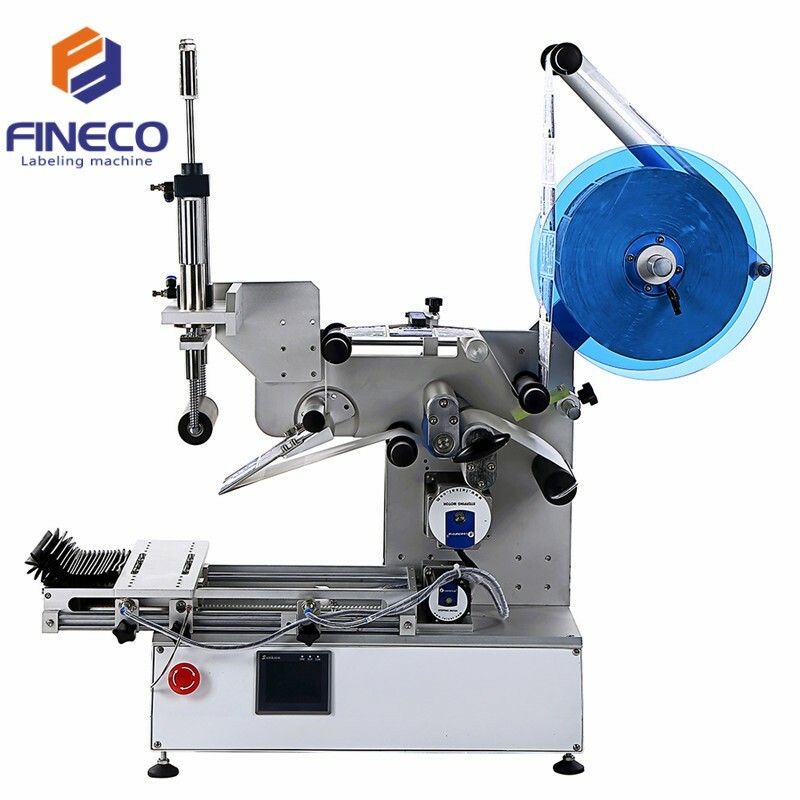 driven by traction motor to draw the label. stop the machine if it runs wrong. 1 ) Control System:Japanese Panasonic control system , with high stability and extremely low failure rate. 2 ) Operation System:Color touch screen , directly visual interface easy operation.Chinese and English available . 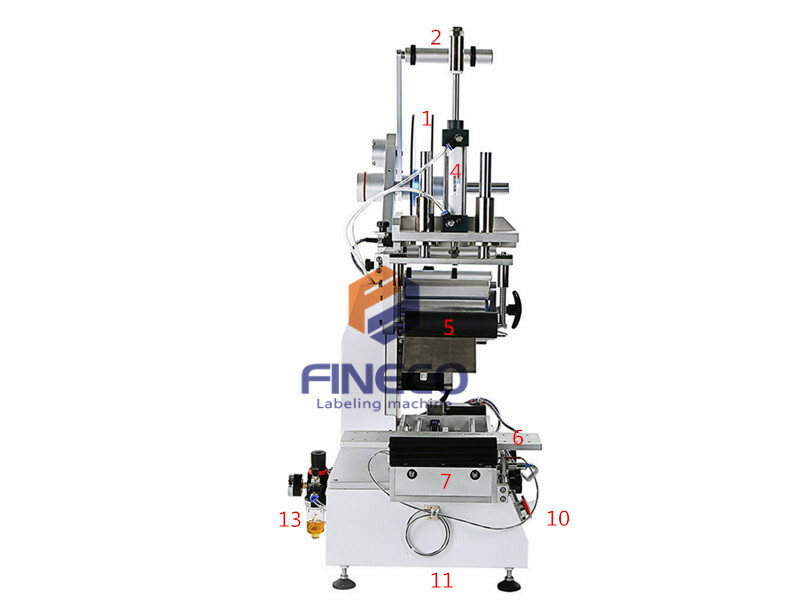 Easily to adjust all electrical parameters and have counting function , which is helpful for production management. 3) Detection System:Using German LEUZE/Italian Datalogic label sensor and Japanese Panasonic product sensor , which are sensitive to label and product , thus ensure high accuracy and stable labeling performance . Greatly saves labor . 4) Alarm Function : The machine will give an alarm when problem occur , such as label spill , label broken , or other malfunctions . 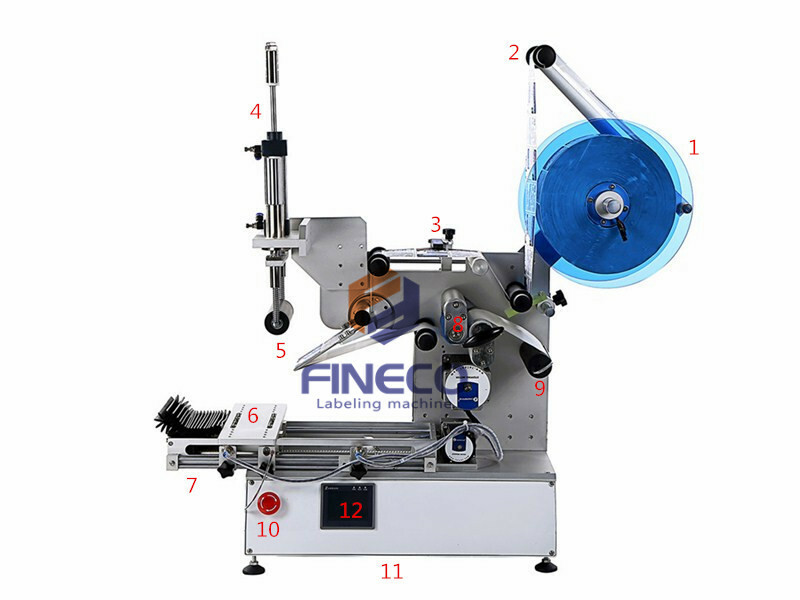 5) Machine Material : The machine and spare parts all use material stainless steel and anodized senior aluminum alloy , with high corrosion resistance and never rust . 6) Equip with a voltage transformer to adapt to local voltage.